A camera that fits into tiny spaces can come in handy when fixing clogged drains, engines, or other hard to see problems. 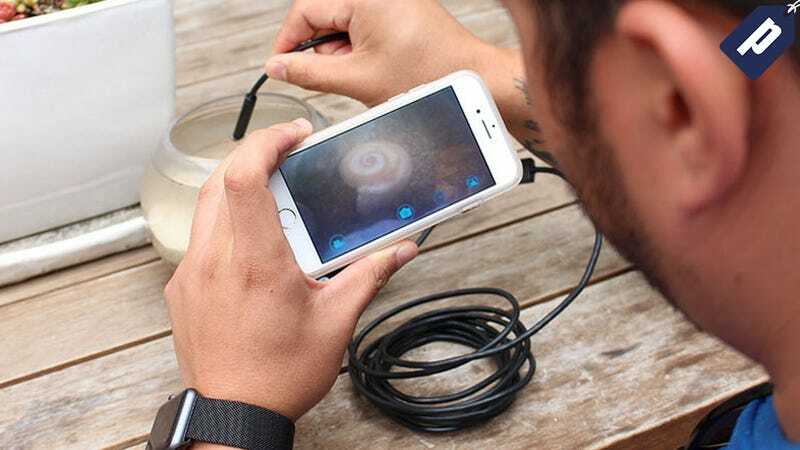 This waterproof, WiFi enabled endoscopic camera offers 3 meters of flexible cable and an 8 way LED to help you diagnose problems at the source. You can grab one today for just $30 (720p) or $40 (1080p) and save 40%. With an IP67 resistance rating, this camera is completely sealed from dust and water, and can stay submerged for over 30 minutes at a time. It sends 2MP images or streams 720p or 1080p HD video to your smartphone for a detailed exploration, and is also compatible with your desktop to provide a bigger view. This handy smartphone attachment normally runs for $50, but you can grab one today for just $30 (720p) or $40 (1080p) at the link below.